Overcoming Limitations For Disabled Individuals. 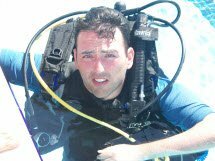 Born of his desire to return to his much-loved passion of scuba diving after a severe spinal cord injury, Unlimited Abilities Foundation, Inc. has become the driving passion for founder Kevin Mullin. He, his best friend Thomas Dolan and the Mullin family worked diligently to form Unlimited Abilities Foundation with the true belief that individuals with a spinal cord injury, stroke or other disabling injuries/illnesses can still have unlimited ability to enjoy a complete, active lifestyle. It takes rigorous training, unwavering commitment and the support of an organization like Unlimited Abilities Foundation that recognizes no boundaries. Based in South Florida, the Unlimited Abilities Foundation has a single focus: support, sponsor and create challenging and engaging programs for all mentally and physically disabled individuals.